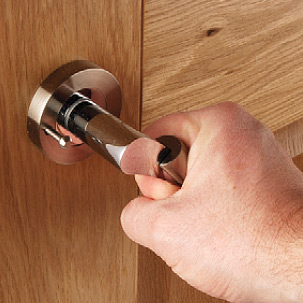 The Carlisle Brass Delamain Beaded Finger Plate is commonly used on the other side of the door to a pull handle; it can be used separately with levers or knobs to protect the door from finger marks. This finger plate is made from solid brass. It has a polished brass finish. There are also matching accessories available in the same finish and with the beaded pattern to go with this product. There is a door knob to go with this finger plate, but there are also escutcheons and bathroom locks with the same design should you need them. These can all be found in the related products below.